Neal inks splendidly over Vincente Alcazar's pencils for this beautiful large page from the 1974 Warren magazine tale "First Night of Terror"! 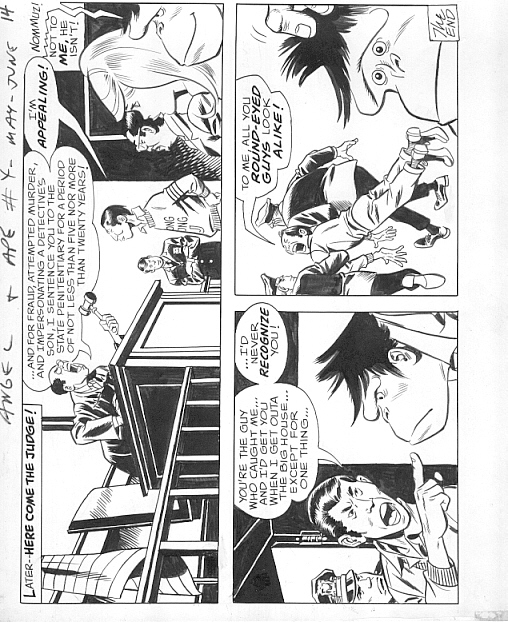 Beautiful Flash page pencilled by Irv Novick and inked by Murphy Anderson. Flash in costume in every panel! A great page with Cloak and Dagger, signed by Brigman. 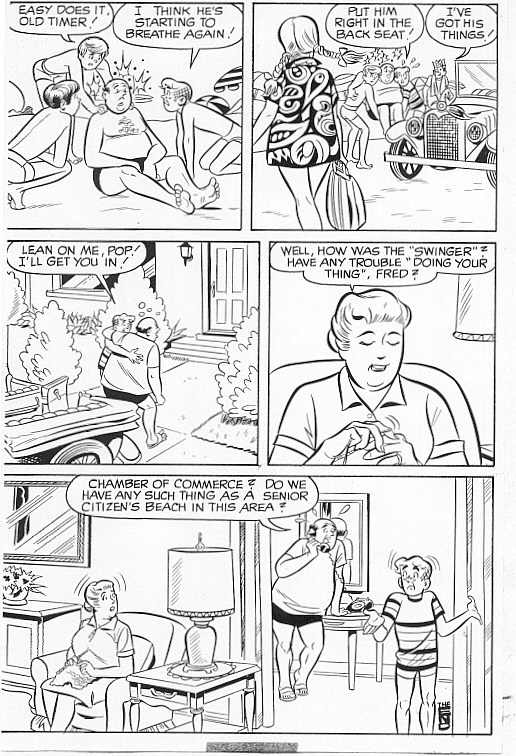 Inks by Bob Wiacek. 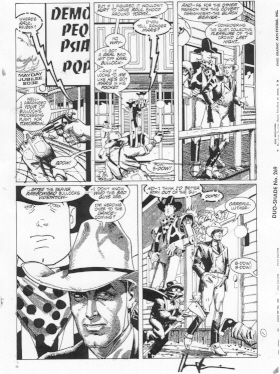 Fabulous page with cowboys Flagg and his robot pal Luther! Wonderful 2/3 splash w/Archie & parents! 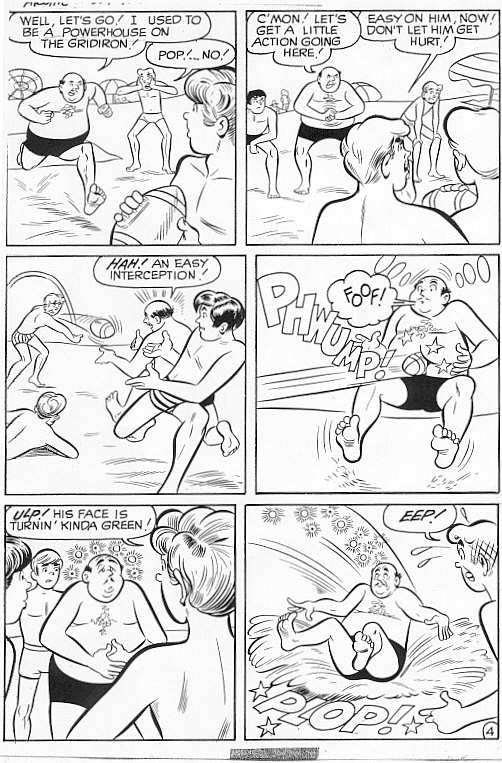 Archie's dad gets creamed playing football. 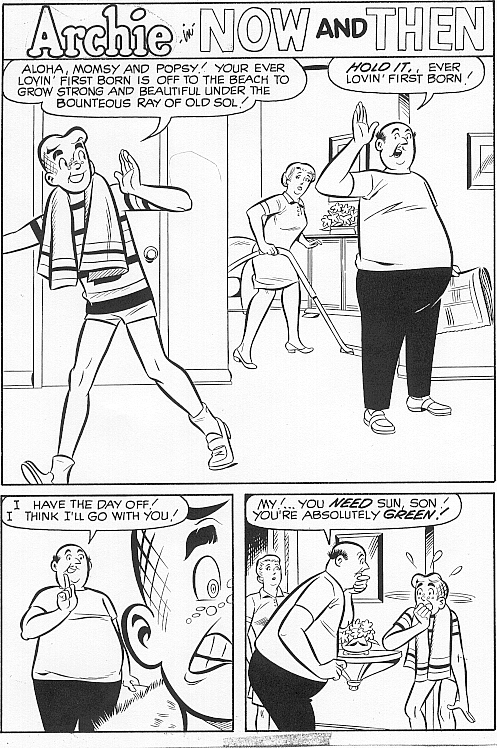 Archie and Jughead bring his dad home. Gorgeous Kevin Nowlan pencils with inks (and signed) by Sienkiewicz! Last page from lead story with Angel and Sam. Inks by Wally Wood. Unconscious Angel and Sam on a wild bird chase! Inks by Wally Wood. Madcap Oksner page where everyone loses their pants! 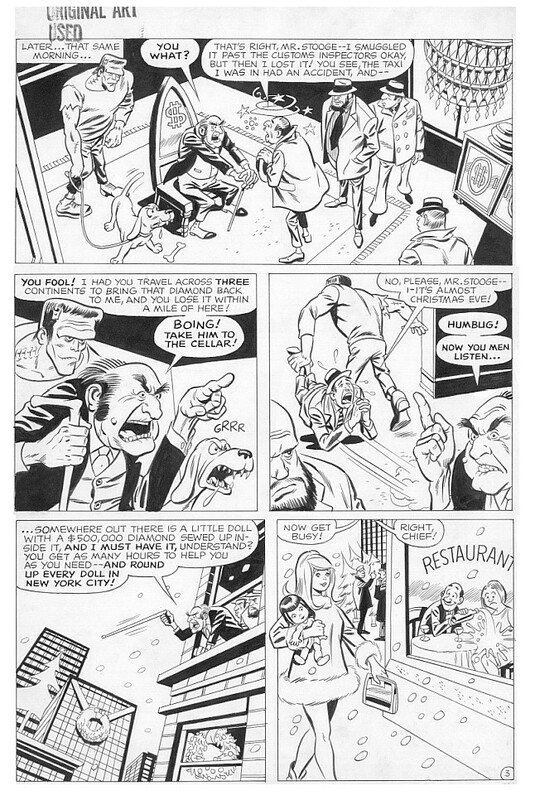 Inks by Wally Wood. 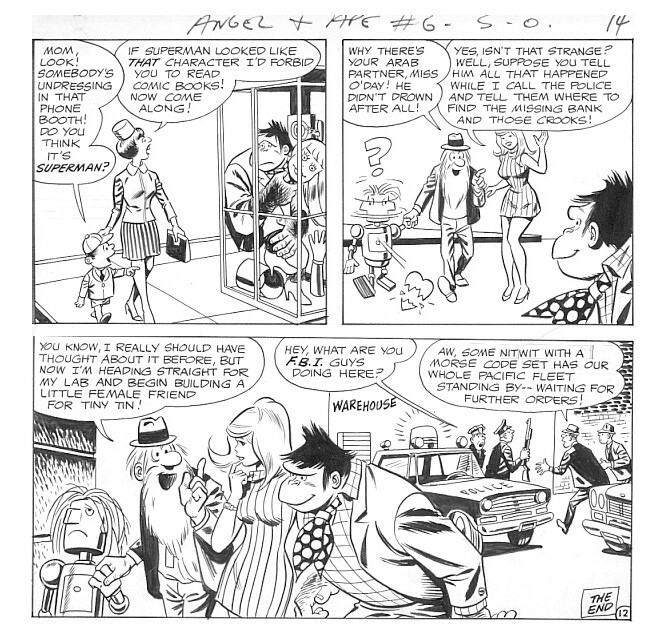 Last page from lead story with cross dressing Sam and Angel. Inks by Wally Wood. Sold! Splash page from Angel and the Ape story circa 1967 with inks again by Wally Wood. Another fine example with Angel. 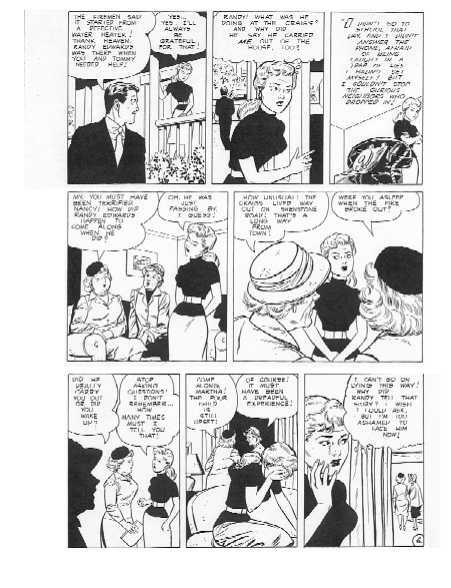 Inks by Wally Wood. Sold! Last page with Santa, Sam, and Angel. Inks by Wally Wood. Absolutely gorgeous Toth-like romance example by Toth prodigy Art Saaf. Toth actually worked on this issue and it's no wonder! 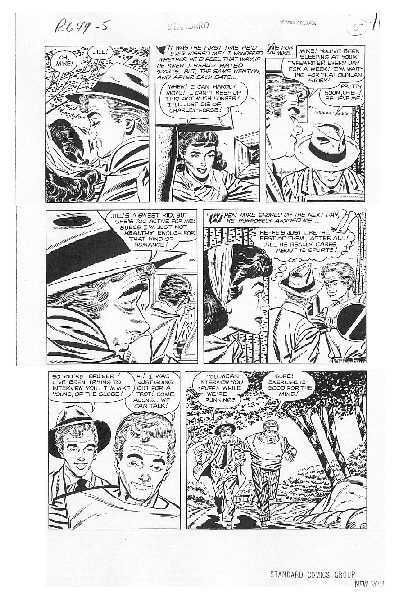 Great Sekowsky romance page from 1952 with inks by Al Rubano. Great page from 1969 with Sub-mariner and Tony Stark, inks by Johnny Craig. A great team! Gorgeous Nowlan pencils with inks (and signed) by Sienkiewicz! Beautiful cinematic splash with the first appearance of Son of Tomahawk. Meticulous,well designed page with Son of Tomahawk about to be hanged! Nice Tuska example from the late sixties on this Dell title. Last page from lead story with Angel and Sam. Pencils by Oksner. 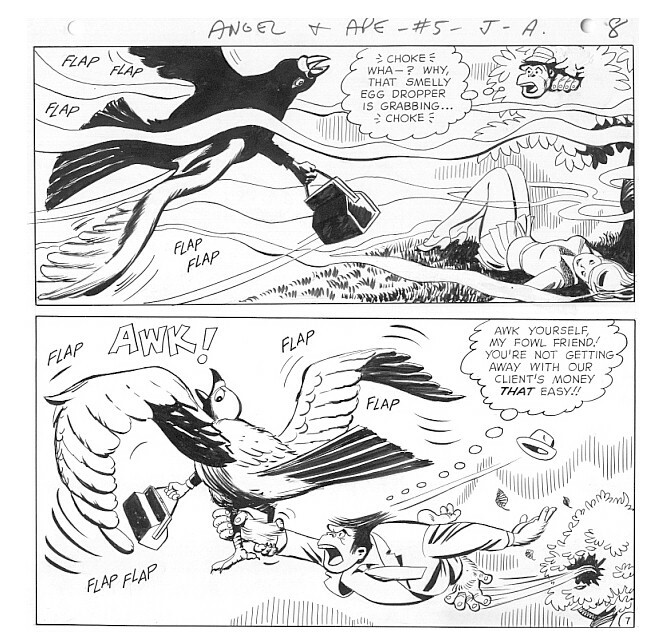 Unconscious Angel and Sam on a wild bird chase! 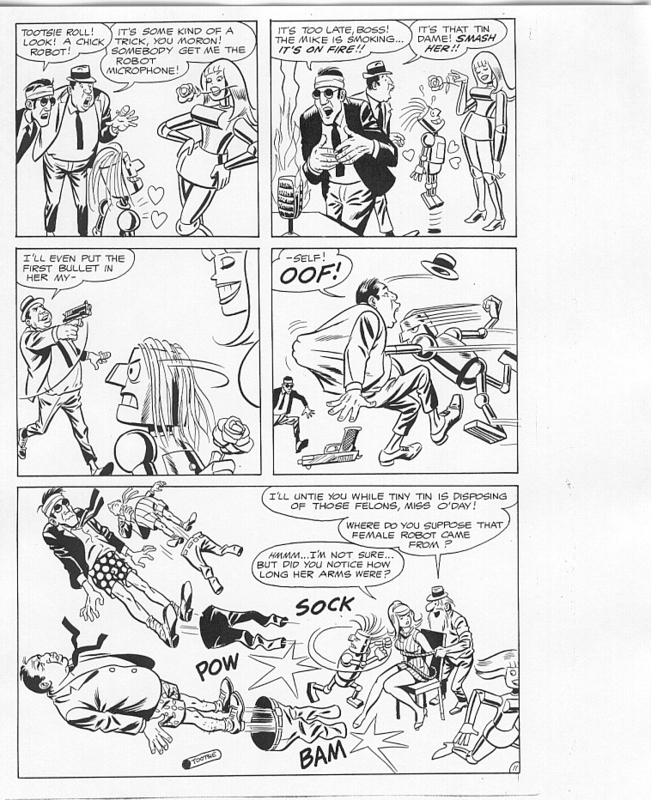 Pencils by Oksner..
Madcap page where everyone loses their pants! Pencils by Oksner. Last page from lead story with cross dressing Sam and Angel. Pencils by Oksner. Sold! 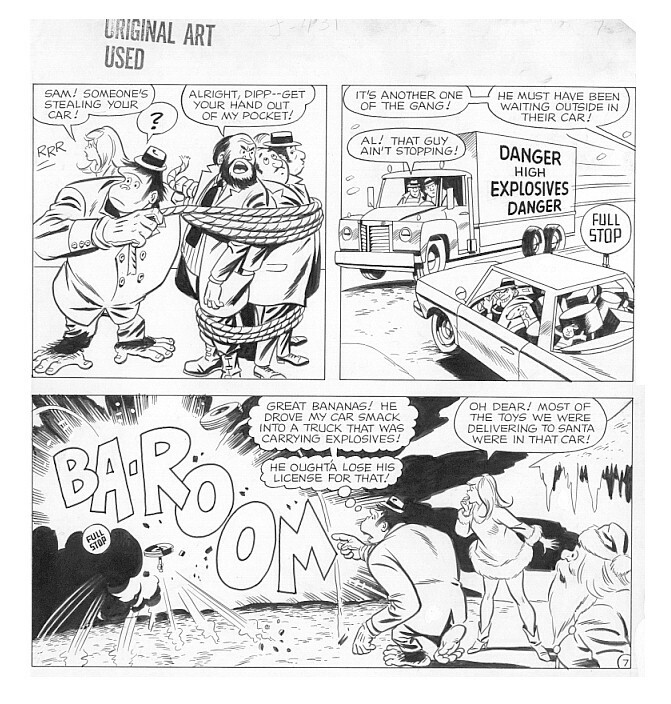 Splash page from unpublished Angel and the Ape story circa 1967 with pencils by Oksner. Another fine example with Angel. Pencils by Oksner. Sold! Last page with Santa, Sam, and Angel. Pencils by Oksner.